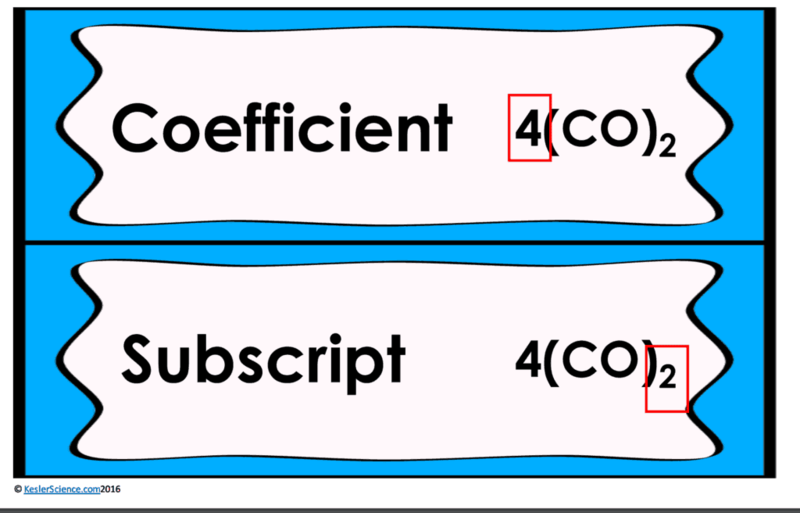 At the end of this balancing chemical equations lesson plan, students will be able to recognize whether a chemical equation containing coefficients is balanced or not, and how that relates to the law of conservation of mass. Each lesson is designed using the 5E method of instruction to ensure maximum comprehension by the students. 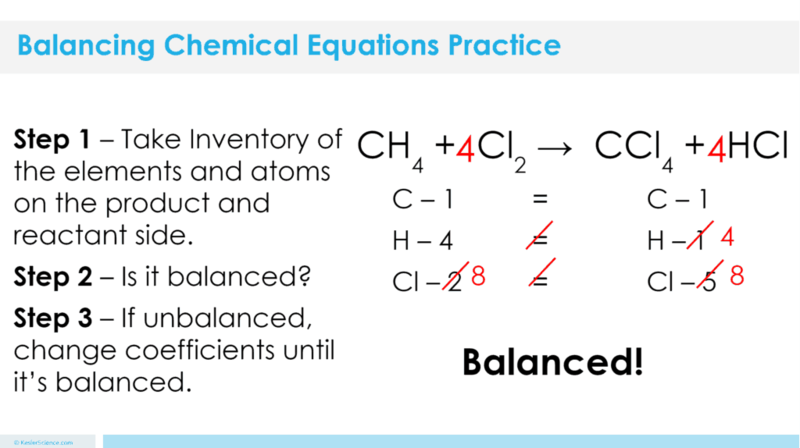 The following post will walk you through each of the steps and activities from the balancing chemical equations lesson plan. Have the students pick a different colored piece of candy to represent a particular element. Tell the students to look at the equation on #1 and use the candies to model what the equation is showing. Have students determine if both sides of the arrow have the same number of candies of each color. Have students repeat for #2. Break students into small groups and have them discuss which formula had the same number of colored candies, what the arrows represent, and if it possible for there to be a chemical reaction if the equation is unbalanced. 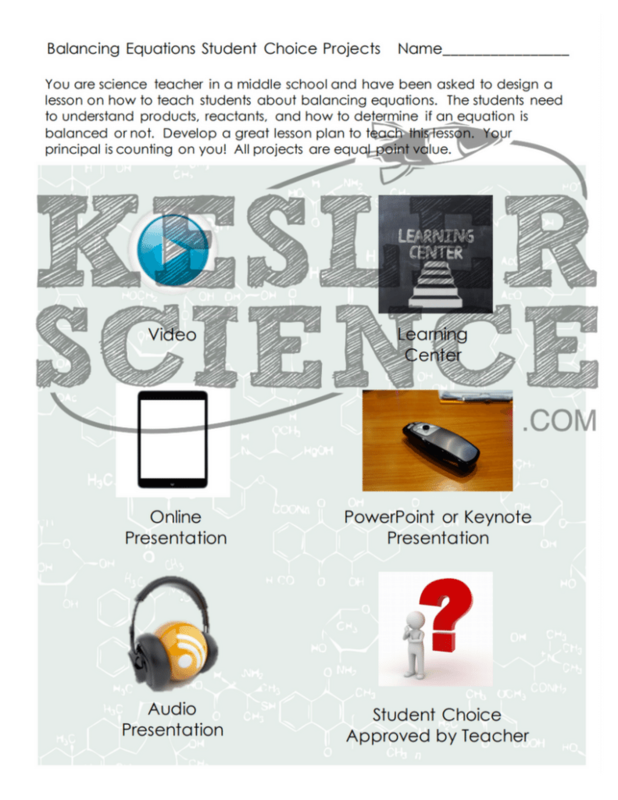 Tell the students that they will also be learning about the law of conservation of mass. The teacher will help to clear any misconceptions about balancing chemical equations. A major misconception is students may think you can change the subscript to get the equation to balance. This student-centered station lab is set up so students can begin to explore balancing chemical equations. 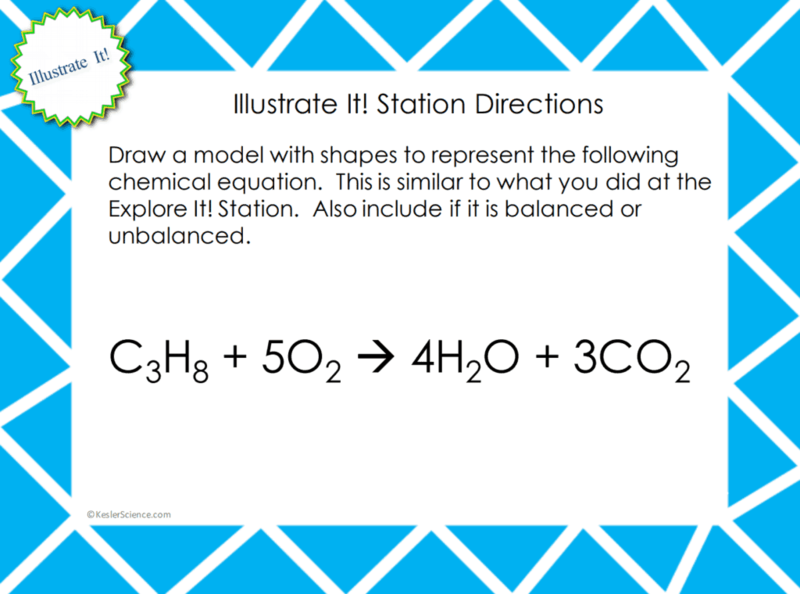 Four of the stations are considered input stations where students are learning new information about balancing chemical equations, and four of the stations are output stations where students will be demonstrating their mastery of the input stations. Each of the stations is differentiated to challenge students using a different learning style. You can read more about how I set up the station labs here. Students will be working in pairs to balance a chemical equation. 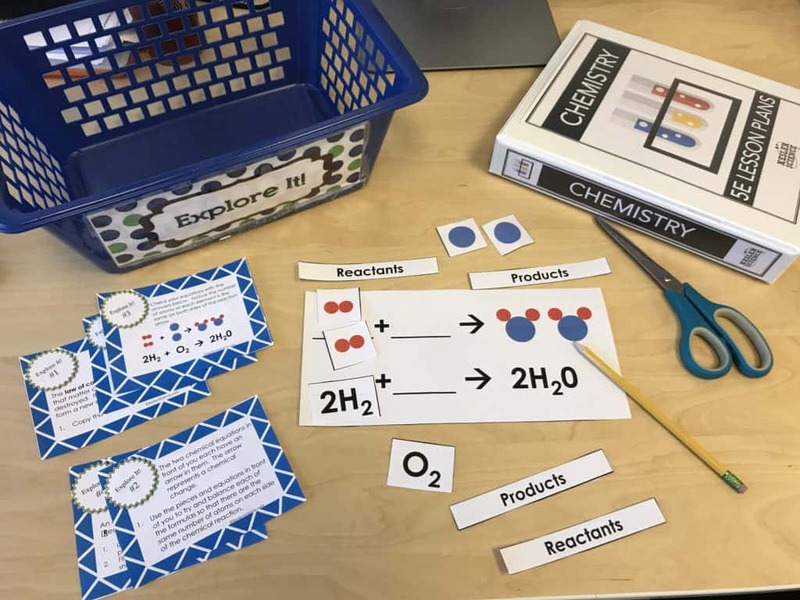 Students will have to follow the directions on the task cards and using manipulatives, match the reactants to what is on the product side of the card. The final card will have students look at a couple more equations and determine whether or not they are balanced. At this station, students will be watching a nine-minute video explaining how to correctly balance equations. Students will then answer questions related to the video and record their answers on their lab station sheet. For example, filling in the blanks with information from the video. What are the terms that represent the compounds before the arrows and after the arrows? 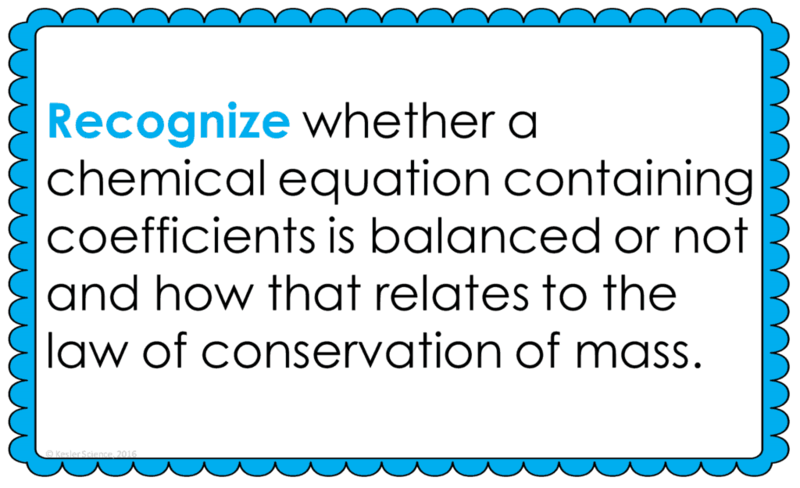 How do you know when an equation is balanced? The research station will allow students to interact with chemical equation simulator using the PhET website. Students will try to balance equations on both sides of the equation. Once students have balanced the equation, there will be an indicator letting the students know that they are successful. 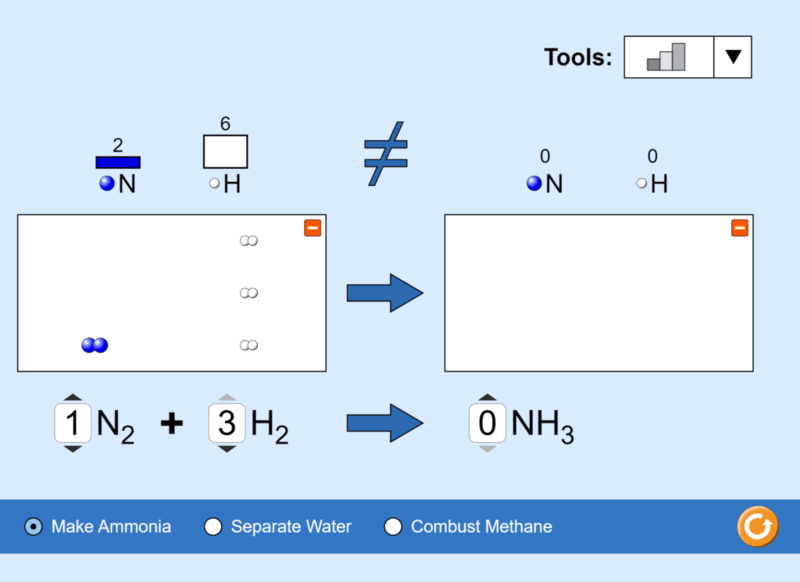 The student will have to balance equations for Ammonia, water, and methane. This station will provide students with a one page reading about the law of conservation of mass. In the reading, students will discover how no matter what form matter can change into, the mass of the matter stays the same. Antoine Lavoisier and his wife conducted experiments that proved such law. There are 4 follow-up questions that the students will answer to show reading comprehension of the subject. The assess it station is where students will go to prove mastery over the concepts they learned in the lab. The questions are set up in a standardized format with multiple choice answers. Some questions include: Which compounds represent the product(s) in the following equation? Which is not true about the law of conservation of mass? Is the following equation balanced or unbalanced? Students who can answer open-ended questions about the lab truly understand the concepts that are being taught. At this station, the students will be answering three task cards to explain the explain the law of conservation of mass. How are reactants different from products? 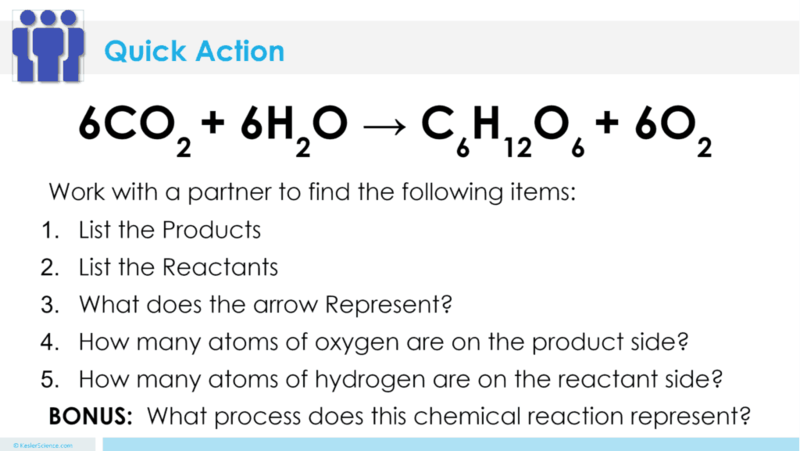 What does the arrow mean in a chemical equation? Your visual students will love this station. Students will draw shapes to represent a chemical equation. Finally, students will have to determine if their drawing represents an equation that is balanced or not. The organize it station allows your students to place cards in the correct column by whether the equations on the cards are balanced or not. The explanation activities will become much more engaging for the class once they have completed the exploration station lab. 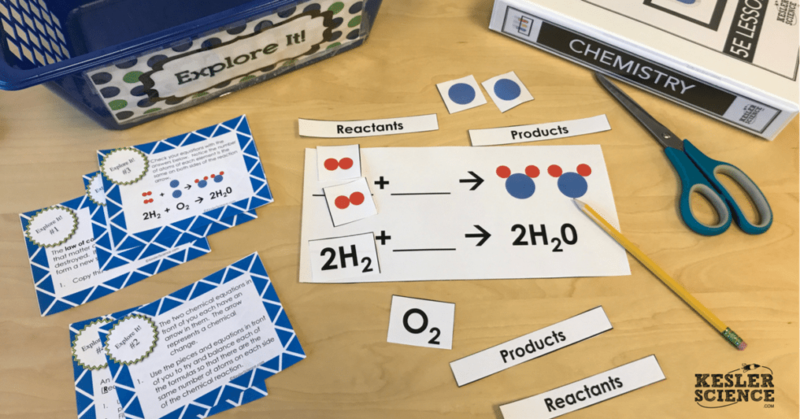 During the explanation piece, the teacher will be clearing up any misconceptions about balancing chemical equations with an interactive PowerPoint, anchor charts, and interactive notebook activities. The balancing chemical equations lesson includes a PowerPoint with activities scattered throughout to keep the students engaged. The students will also be interacting with their journals using INB templates for balancing chemical equations. Each INB activity is designed to help students compartmentalize information for a greater understanding of the concept. 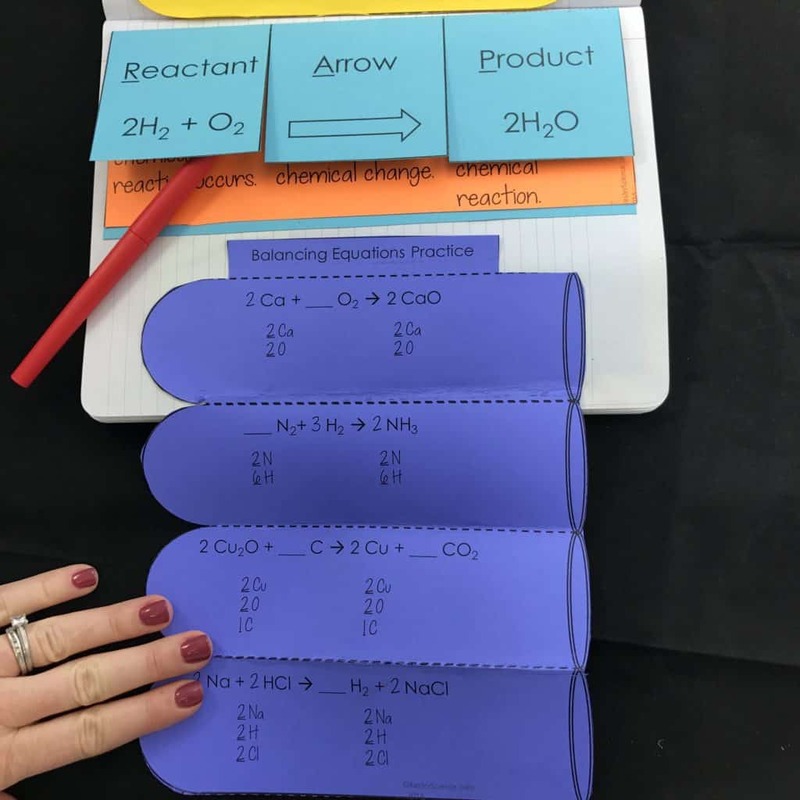 The balancing chemical equations INB templates allow students to focus their notes on identifying the number of atoms in a chemical equation based on coefficients and subscripts.